I think I finally got it right. It’s pear season, and my CSA box has been arriving with plenty of pears for me to try something new each week, and this time I hit the jackpot. I found the recipe for the maple-vanilla roasted pears in my Fresh Every Day cookbook by Sara Foster. The flavors sang a joyful song in my mouth. Cel-a-brate good times, come on! Something like that anyway. And the whipped cream, oh yes. Party on my plate. I’m so happy Melissa was able to enjoy these lovely gems with us. Preheat the oven to 400 degrees. Rub the butter on the bottom of a pan with sides. Sprinkle with sugar. 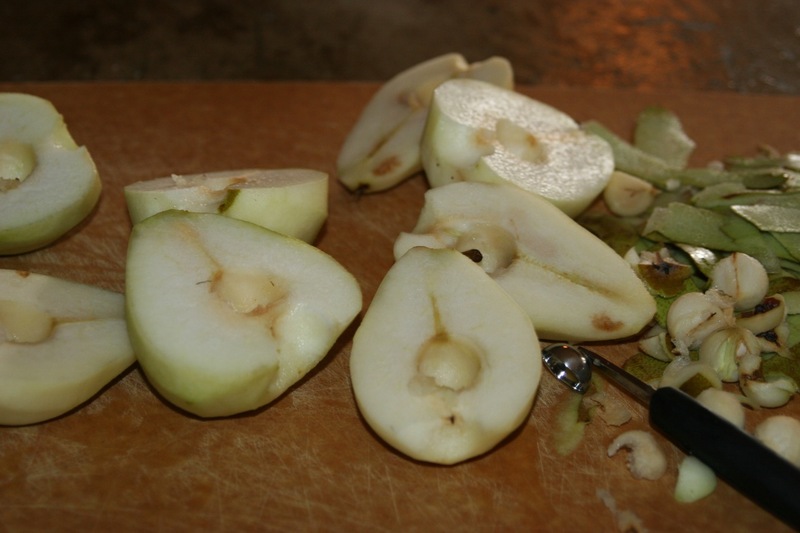 Place pear halves on top of sugar, cut side down. 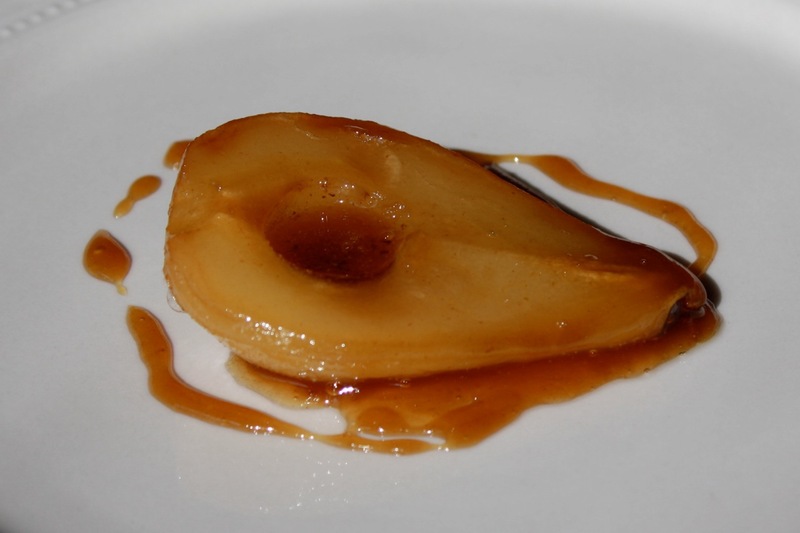 Mix maple syrup and vanilla together, drizzle over pears. 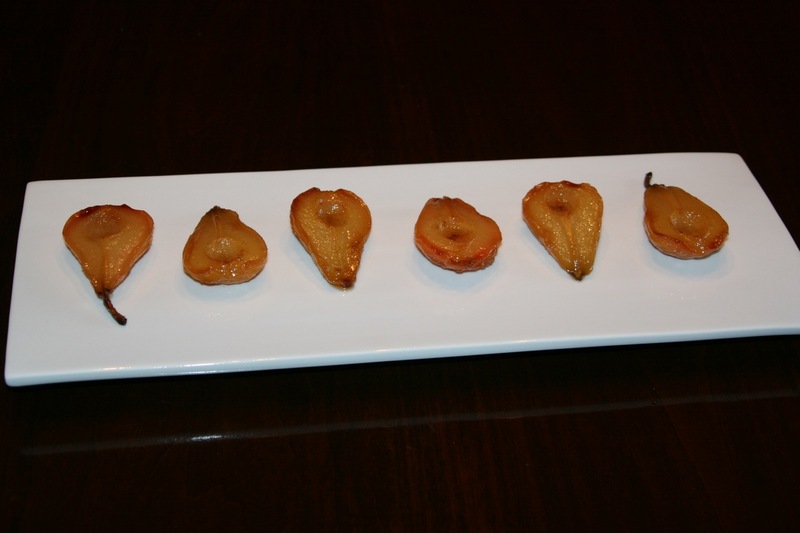 Roast pears until tender, about 40-45 minutes, basting with pan sauce occasionally. 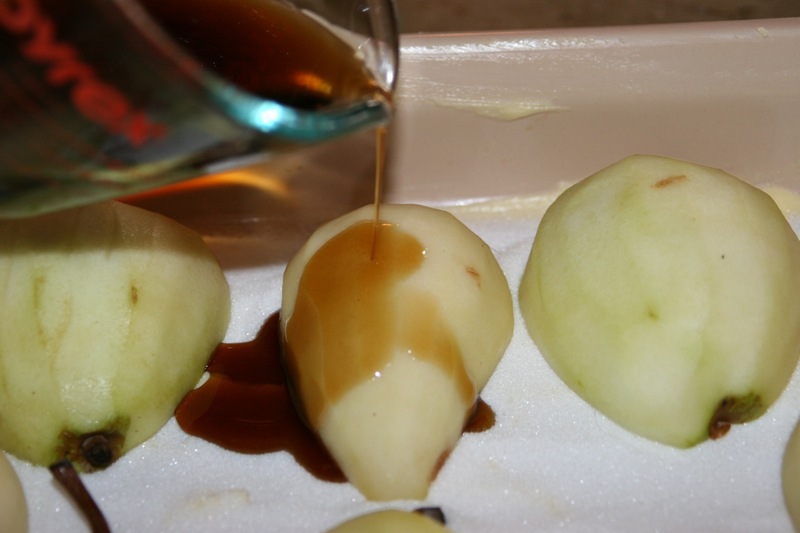 Once cooled, remove the pears from the sauce. Reheat the sauce just before serving. Make the whipped cream by whipping the cream, syrup and vanilla together. Drizzle the sauce over the pears, serve with a generous dollop of whipped cream. 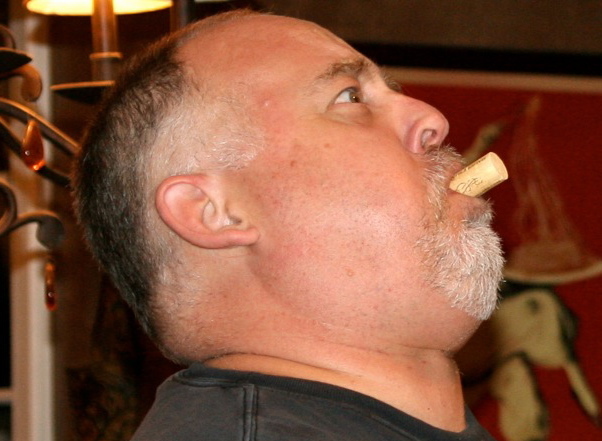 I’ve found you a beautiful dessert wine, a special Australian Tokay from R.L. Buller & Son, a non-vintage premium fine Victoria Tokay, for your beautiful dessert! For most people, they’ve probably never heard of a dessert wine called ‘Tokay.’ For those unfamiliar with it, Tokay is a Slovenian table grape with a thick red skin and a rather bland tasting flesh. Not a very good start to one of the world’s greatest sweet wines, but if you add some creative winemaking, you get a delicious wine from grapes that have been left on the vine to spoil and rot! Before you go faint, know that the fungus that rots and subsequently sweetens the wine is long gone by the time it gets to your glass. So good…I could have the whipped cream every day!! So fun to see y’all and catch up!